← What Makes A Good Bartender? Jogging and running are some of the most popular ways that people are getting in shape nowadays and it’s easy to see why; there is no equipment needed and it doesn’t cost anything to get off the couch and run around the block a few times. So like many others, my family and I have started running in various 5Ks and half marathons. In all of the races that we have participated in, the ones organized my runDisney have by far been the best. Everything is perfectly organized and prepped as only Disney can do and it feels fun even picking up your race bib. The race themselves have entertainment and character performers along the course (which runs through the theme parks) with plenty of water/Powerade at every mile so the race never seems “boring”. Lots of runners show up in fun costumes and there are always plenty of people to cheer you on as you make your way to the finish line. 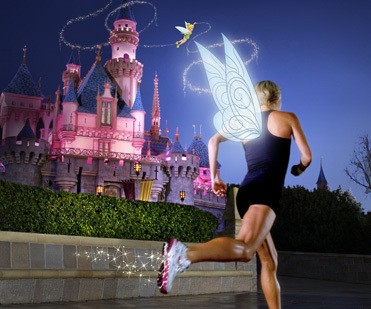 If you’re ever thinking about running in a race, I would strongly suggest an event by runDisney. The bib prices are a little pricey but I believe it’s well worth it.